is one of the new Summer release stamps from Visible Image. What I really love about this set is the carefree and positive message that it puts out. I had so much fun putting this one together! 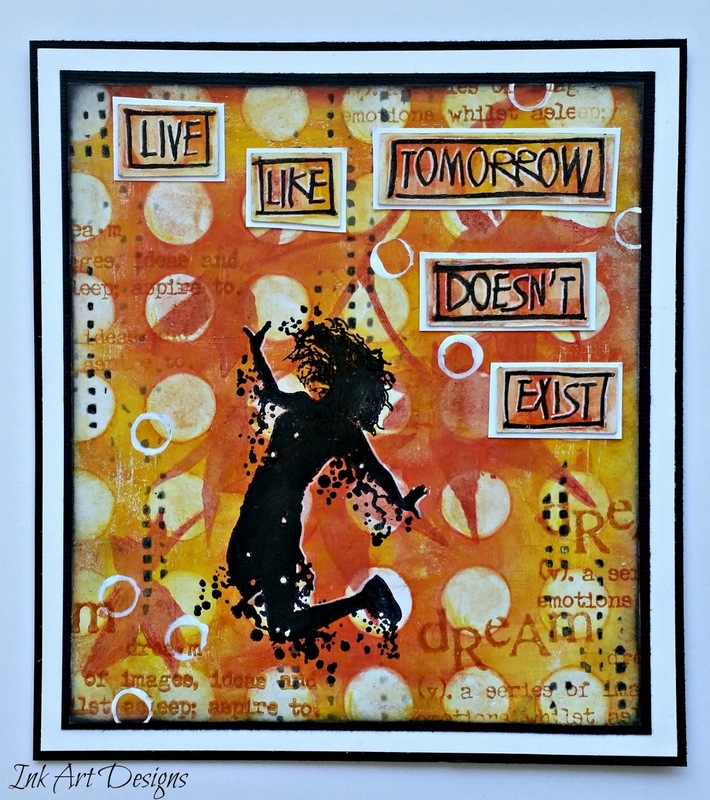 The background is built up with stencils and gelatos and then stamps. 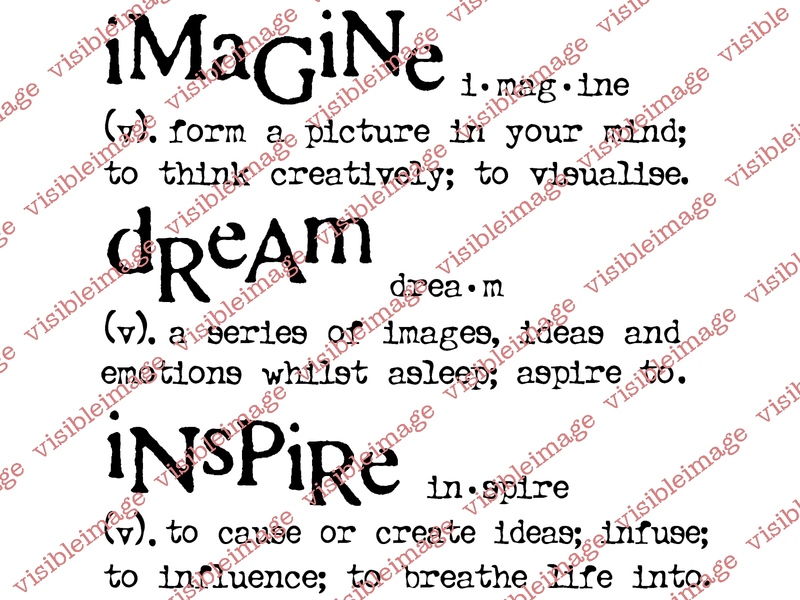 I have found that the Imagine Dream Inspire word stamp set makes a wonderful addition to backgrounds…so that has become another layer on top of the stencils. 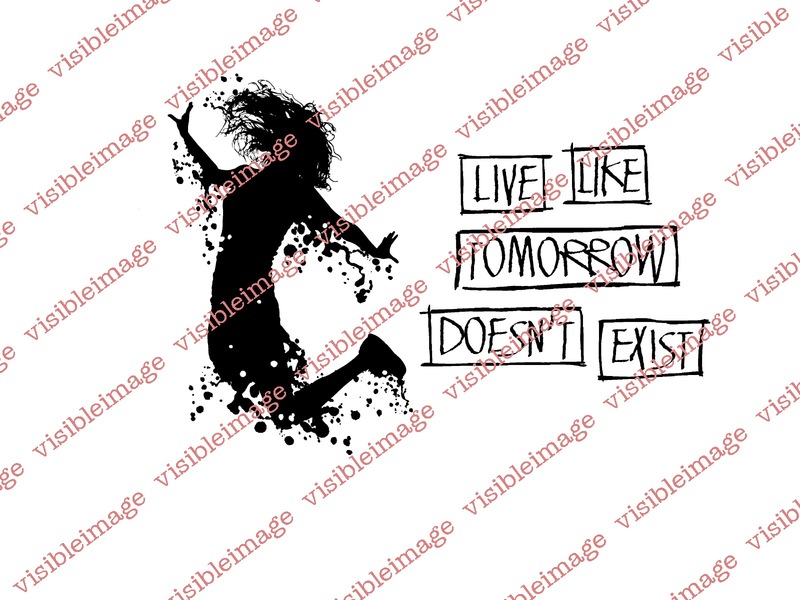 Live Like Tomorrow Doesn’t Exist stamp set. The words from the set were made on a scrap piece left over from the main panel. Nothing goes to waste lol. What I love about gelatos is how you can just wipe away the colour with baby wipes, or damp paper toweling…so that is what I have done with the large dots stencil and around the edge of the words. I l love the faded effect that you end up with. Extra white is added with some white acrylic paint for circles and a white gel pen for highlights. just stamp the image into Versamark first and wipe of lightly on your arm…then add your black ink! I use Versafine. It stamps beautifully this way. Brilliant project! 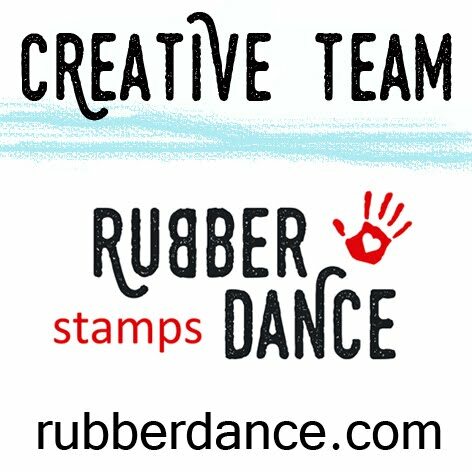 Love the arty background, great stamp too! Great shadowing. Thanks for sharing with Make My Monday. I saw these Visable Images stamps on TV recently, I was very impressed with them. your card is amazing, I agree so light, positive and free. I adore the stamp, but your background is utterly amazing. Good luck. Thanks for joining us at Make My Monday. Caz DT. Lots to see Dot and all fabulous. The background layering does her justice so very vibrant, cool and modern looking.